Sea Turtle Conservancy (STC) announces a change in the scientific oversight of its international sea turtle research and monitoring programs. Effective in July, the position of Scientific Director will transition from Dr. Emma Harrison to Dr. Roldán Valverde. Anyone interested in collaborating with STC on research projects in Costa Rica, Panama and other international sites are encouraged to reach out directly to Dr. Valverde at roldan@conserveturtles.org. Likewise, anyone interested in exploring opportunities to serve as a Research Assistant with the Tortuguero program or at STC’s project sites in Panama can now direct those inquires to Roldán. While STC is very excited about what Dr. Valverde will bring to this position, the organization is equally sad to announce the departure of Dr. Emma Harrison, who has resigned to explore new opportunities in the field of biological conservation. Dr. Harrison has worked with STC off and on since 1998 and has served as Scientific Director since 2006. Through her leadership and passion, Dr. Harrison continued a long tradition of outstanding scientific oversight of STC’s sea turtle monitoring programs; she trained and inspired countless research assistants and helped expand STC’s education and community outreach programs in both Costa Rica and Panama. Emma will be greatly missed by STC, though she will forever remain a part of the STC family and the history of the organization. As STC’s incoming Scientific Director, Dr. Valverde will provide scientific oversight of STC’s various sea turtle research programs, particularly the long-term projects in Tortuguero, Costa Rica, and Bocas del Toro, Panama. Over two decades ago, as a young Costa Rican biologist, Roldán served as Research Coordinator of STC’s Tortuguero research program. Since that time, he has achieved international recognition in the field of sea turtle research and is a leading expert in the area of sea turtle physiology. Dr. Valverde served recently as President of the International Sea Turtle Society; he is well published; and he currently serves as a graduate biology professor at Southeast Louisiana University in New Orleans. As a native Costa Rican and an accomplished scientist and educator, Roldán will be in an ideal position to continue elevating the science and the effectiveness of STC’s many research and conservation programs. He also will help STC expand its efforts to cultivate and train young biologists from throughout Latin America and the Caribbean. Dr. Valverde’s position with STC is endowed by the Emily T. Clay Scientific Director’s Endowment. Join STC for a Cuba Sea Turtle Expedition in June 2016! Join Sea Turtle Conservancy for the second annual Cuba Sea Turtle Expedition! STC is partnering with the Cuba Marine Research and Conservation Program, The Ocean Foundation and Holbrook Travel to offer a Sea Turtle and Cultural Expedition to Cuba from June 25th – July 3rd, 2016. Participants will have the opportunity to look for turtles coming ashore on the beaches of the Guanahacabibes Peninsula and observe the nesting process. The group will return to a turtle nesting beach the following day to document any tracks from the previous night. Hours later, participants will return to the turtle beach where they will have the opportunity to help the researchers measure the turtles and record data. Travel with two experts from the Sea Turtle Conservancy and a Cuban marine turtle specialist. Observe the nesting process of green sea turtles and collect data with biologists. Snorkel the clear waters of the coral reef at Maria la Gorda(optional scuba diving may also be available at an additional charge). Meet with local conservationists, marine researchers and a wildlife artist. Visit the picturesque town of Vinales. 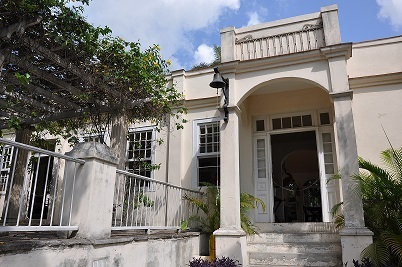 Stop at Hemingway’s home, Finca La Vigia. Participants will also enjoy activities such as a walking tour of Old Havana, a visit to the National Museum of Natural History, a visit to the Alamar Organoponic Gardens and leisure time. The beaches of the Guanahacabibes National Park are home to the second largest breeding population of green sea turtles in Cuba with an average of more than 300 nests per season. 2013 was a record year for the park’s beaches with nearly 900 nests recorded! Through the efforts of University of Havana’s Center for Marine Investigations, an estimated 14,000 hatchlings were saved. You will get to participate directly in this successful Cuban conservation program, with a portion of your trip fees going directly to support this ongoing work. Cost includes gratuities, Miami/Tampa hotel and donations to the Cuban Society for the Protection of the Environment and Sea Turtle Conservancy. Cost does not include international airfare estimated at $575 from Miami or Tampa (estimate includes visa fee). Since 1959, STC has been conducting conservation programs in Tortuguero, Costa Rica. Tortuguero is one of the most important sea turtle nesting sites in the world. This means that vital sea turtle nesting research is conducted by our staff in Tortuguero. However, the staff housing building, the Kontiki, could no longer withstand the harsh climate. For Giving Tuesday 2014 and World Sea Turtle Day 2015 we held a campaign to raise money to rebuild the Kontiki. Between our Members’ donations and generous contributions from Naked Turtle Rum and the Lisa Jo Randgaard family, we raised enough money to begin a rebuild of the Kontiki! The rebuilt Kontiki will be dedicated in honor of Lisa Jo Randgaard. As you may notice in the photos, we are trying to save as much material as we can from the old house to keep this project sustainable. STC would like to give a big thank you to all our donors for helping us begin this project, we couldn’t have done it with out you! The new and improved Kontiki will keep our researchers safe while they continue vital sea turtle research. Check back and stay tuned for more updates on the progress of the Kontiki! Since 2000, when Sea Turtle Conservancy waged a successful campaign to block a proposal by the Cuban government to reopen international trade of sea turtle products, STC has been trying to build collaborative relationships with Cuban sea turtle researchers. For example, STC facilitated the participation of two Cuban biologists in the International Sea Turtle Symposium. We included several young Cuban biologists as turtle Research Assistants in Tortuguero, Costa Rica, where they gained valuable field experience. And in Bermuda, a biology student from Cuba was sponsored to participate in a course offered by STC and our partners that teaches in-water techniques for studying sea turtles. Despite these efforts to build relations in Cuba, STC’s ability to directly participation in turtle research or conservation in Cuba has been stymied by longstanding restrictions against American travel to the country…until now. As widely reported in the news, President Obama recently took steps to improve diplomatic relations with Cuba. The U.S. Embassy in Havana has reopened, and the State Department announced new guidelines making it easier for American citizens to travel to Cuba by participating in authorized “People to People” programs. Immediately following this announcement, STC partnered with the Ocean Foundation and Holbrook Travel to organize a turtle research and cultural exchange expedition to Cuba that would meet the new qualifications and allow STC to explore opportunities for collaborating with sea turtle researchers in one of Cuba’s most pristine national parks. Once our trip was approved by the State Department, STC officially opened registration to members and supporters, and all 20 spaces were filled rapidly. STC’s first expedition to Cuba took place over eight days in September. Leading the expedition were STC Executive Director David Godfrey and Scientific Director Dr. Emma Harrison. Also participating in the trip were an enthusiastic mix of STC donors, Florida turtle volunteers, scuba divers from around the US and even the UK, an architect, and even a turtle conservationist from Hawaii. During our journey through Cuba we interacted with the amazing and friendly people of Cuba; discovered a diverse and rapidly-changing culture; explored pristine natural resources; marveled at cities, cars and architecture preserved for a generation; learned about an explosion of urban-based organic farming; and, of course, observed a unique population of sea turtles nesting on Cuba’s far western shore. To say the trip was amazing is an understatement; it was unforgettable. The organic farm where we learned about sustainable urban agricultural. 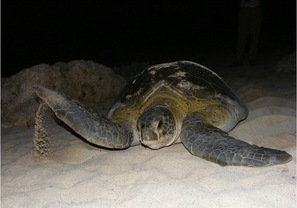 Cuba hosts regionally-important nesting populations of hawksbills and green turtles. In addition, many nesting beaches and marine habitats around Cuba are in near-pristine condition and are ripe for long-term sea turtle research and recovery. During the course of the expedition, STC forged a strong new relationship with Cuban biologist Dr. Julia Azanza, who leads the turtle research project at Guanahacabibes National Park. Based on our interactions with Dr. Azanza, STC hopes to achieve a new era of support for sea turtle conservation in Cuba. Plans already are in the works for a return trip in 2016, when we hope to assist in the deployment of satellite transmitters on several nesting green turtles. Anyone interested in joining the 2016 expedition should contact David Godfrey at david@conserveturtles.org to inquire about reserving a spot. Like this year’s expedition, spaces will fill up quickly. STC was met at the Havana airport by a dedicated local guide and bus driver, who remained with our group throughout the 8-day expedition. Our assigned guide was the lovely and knowledgeable local guide, Susana Rodriguez, who STC hopes to book for future visits. For the first couple of nights our base was the iconic Hotel Nacional de Cuba, which overlooks the ‘Malacón’ – the iconic waterfront walkway that is a popular hangout for local residents. Our diverse program of activities commenced with a guided tour of an organic farm, where we learned about sustainable urban agricultural that is blossoming in suburbs of Havana and other cities around Cuba. Lunch on our first full day was at a family-run ‘paladar’ in Cojima and included a variety of traditional dishes, Cuban coffee, of course, and mojitos! Most businesses in Cuba are owned and operated by the government. However, over the last year restrictions have eased in the operation of private restaurants, or “paladars,” which tend to have a much higher variety and quality of food. The main reason for STC’s trip was to visit and provide assistance to the sea turtle project run by Cuban biologist Dr. Julia Azanza, with the long-term goal of developing a partnership through which STC can support sea turtle research and recovery in Cuba. Dr. Azansa joined our group in Havana to give a thorough presentation about her work and the current status of turtle conservation in Cuba. After our brief exploration of Havana we boarded our bus and began a rather eventful journey to Guanahacabibes National Park in the westernmost part of the island. Less than half way to our destination we unfortunately blew a tire, and had to creep slowly several miles to the Cuban equivalent of a rest area. We only had to wait an hour or so before a replacement bus picked us up and we were able to finish the remainder of our journey. Our trusty bus driver, Juan Carlos, however, had to wait another 5 hours before he was able to fix the tire and make his way to the hotel with our assigned bus. The following morning we got our first look at the nesting beach in Guanahacabibes, which resembled a lunar landscape due to all of the deep body pits characteristic of the green turtles—the main species nesting in this part of Cuba. Dr. Azanza introduced us to the student volunteers who live in rustic conditions (in tents, with no electricity or running water!) for several weeks at a time while they conduct track surveys and night patrols to collect valuable scientific data for the p about the green turtles nesting at this site. We learned that a green turtle nest had hatched the previous night and were able to participate in a nest excavation to assess hatching success. Fortunately, the majority of hatchlings had made it safely from the nest to the ocean. Cuba’s marine environment is very pristine, as we witnessed first-hand during snorkel trips to coral reefs that were just offshore from our hotel in Maria la Gorda. While we didn’t happen to see any turtles while in the water, we did enjoy crystal clear blue water, beautiful reefs and a fantastic diversity of fish species. During our evenings of turtle patrolling we were fortunate enough to encounter a green turtle that came ashore to lay her eggs during the two nights we were on the beach. We also had the great fortune of observing the emergence of a nest of green turtle hatchlings! For some in our group this was the first time that they had seen either baby turtles or a nesting female, and to have that first up-close and personal experience on a remote beach in a Cuban National Park made it all the more memorable for everyone, even for those of us who have seen it innumerable times before. Among the other highlights of our trip was a visit to a tobacco farmer in the agricultural region of Viñales—a dramatic and lush valley in Cuba’s interior that produces tobacco for some of Cuba’s most famous cigar brands. Sitting in the farmer’s kitchen and watching him expertly roll a cigar using tobacco grown in the surrounding fields was another unique experience. Most in the group could not pass up the opportunity to sample a hand-rolled Cuban cigar made directly at the source. An unexpected change of hotel meant that we got to spend a night in Pinar del Río, on the very day when the region was celebrating its 128th anniversary! Our unplanned change in itinerary turned into an amazing opportunity to watch a street parade and meet numerous local characters who were thrilled to find a group of American’s staying in their village. In fact, it was common throughout our travels around Cuba to encounter people who were genuinely overjoyed to meet Americans. To a person, everyone we met in Cuba was incredibly friendly and helpful. The days passed quickly and all too soon we found ourselves heading back to Havana for our last night in Cuba, but not before one last whirlwind of cultural experiences. The STC group spent half a day exploring Ernest Hemingway’s farm, Finca La Vigia, which has been miraculously preserved by the Cuban people and is still filled with Hemingway’s personal possessions, clothes, artwork, book, and even his famed boat “Pilar.” Later that night our group was taken to see the famous Opera de la Calle, a talented company of Cuban singers, dancers and musicians that treated STC to a private performance none in our group will ever forget. Of course, no trip to Cuba would be complete without a little drama, and ours came in the form of multiple power outages as we were waiting in line to go through immigration to leave the country. Each time the power went out the computer system had to be reset, eating up valuable time when we should have all been heading to the gate! Gradually, at less than a turtle’s pace, each member of our group managed to make it through and we all boarded the plane, with just minutes to spare before takeoff. Of course, we learned later that this is a common occurrence and the American Airlines flight crew knows to wait for all passengers to clear security during such delays. This was definitely a memorable trip for everyone, and one that STC will be repeating in the future. We are excited about the possibility of forging a collaborative relationship with sea turtle conservationists in Cuba, to give our members an opportunity to visit this incredible country and support a local project working to protect the region’s turtle populations! Kirsty, a juvenile green turtle tracked by satellite as part of the collaborative Bermuda Turtle Project (BTP), has flown the coop! After being fitted with a satellite transmitter and released in Bermuda in August 2014, Kirsty’s movements and habitat use were carefully tracked by BTP researchers Drs. Anne and Peter Meylan and Robert Hardy, with scores of STC members and supporters following the turtle’s movements online. For months, the young turtle shuttled between positions in the nearshore sea grass beds of Somerset Long Bay, where it was originally tagged, and two locations located on the west side of the Bermuda Platform. But then Kirsty did something exciting! STC and its BTP partners learned decades ago that Bermuda’s near-shore waters provide important developmental habitat for green turtles that originate from all over the Caribbean and Atlantic. No regular nesting of green turtles occurs anymore in Bermuda, yet its waters are filled with thousands of young green turtles that arrive when they are roughly the size of a Frisbee and leave the island shortly before reaching full adulthood. When and how they leave Bermuda, and where they go, are important mysteries in the life cycle of green turtles. In an attempt to answer these questions, STC and its partners use satellite transmitters to track some of the larger green turtles captured each year as part of the in-water monitoring program. On June 2, 2015, with researchers watching closely, Kirsty left the Bermuda Platform and began a long migration toward what will become her adult foraging grounds. Unfortunately, Kirsty’s transmitter quit sending signals just a week into her migration, though she appeared to be headed toward known foraging grounds off the south Florida coast. Kirsty was a big turtle (66.7 cm “Straight Carapace Length”) when measured last August, so it was not entirely unexpected that she might soon leave Bermuda. 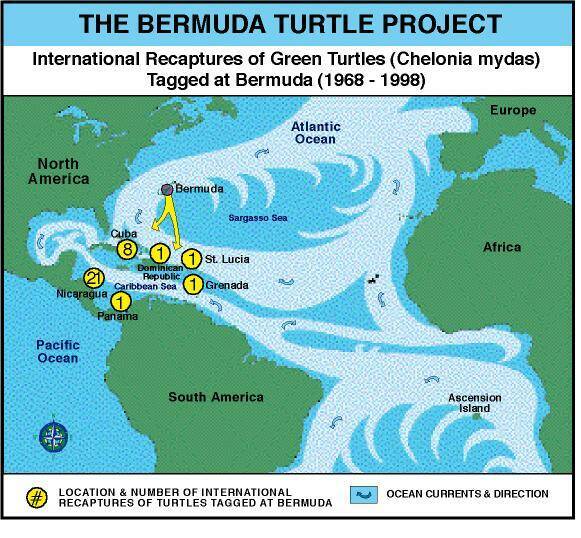 However, with scores of turtles having been tracked in Bermuda, only one other green turtle was observed by BTP researchers leaving the island. The BTP was initiated in 1968 by former STC Board Member Dr. H. Clay Frick II, in cooperation with the Bermuda Government. Since 1991, the project has been a collaborative effort of STC, the Bermuda Aquarium and Zoological Society and Drs. Peter and Anne Meylan. The research efforts of the BTP Project are focused on filling in the information gaps on green turtle biology so that successful protection may be given to these amazing animals. 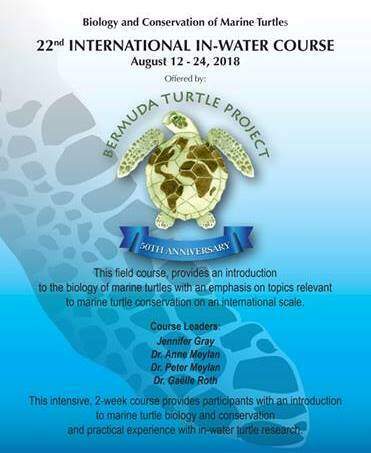 In addition to annual research, every year since 1996 the BTP has offered an international in-water course on sea turtle biology and conservation. It brings students and scientists from around the world to Bermuda to study the pelagic and juvenile phases of the marine turtle life cycle, turtle biology and conservation through observation of the animals in their marine habitat, necropsies, and a capture-tag-release study. This year’s course, to be held in August, will be led in part by STC Scientific Director Dr. Emma Harrison. This summer, STC also will host a group of Board members and donors on an exploratory trip to observe and participate in the Bermuda turtle research program. In May of this year, STC biologists tagged a leatherback turtle with a satellite transmitter after she nested at Chiriqui Beach, Panama. That same turtle, named “Caña” by local children, was spotted by tourists after it washed ashore in Salinas del Ray, Colombia in July. Caña was positively identified by her flipper tags and still-attached satellite transmitter. 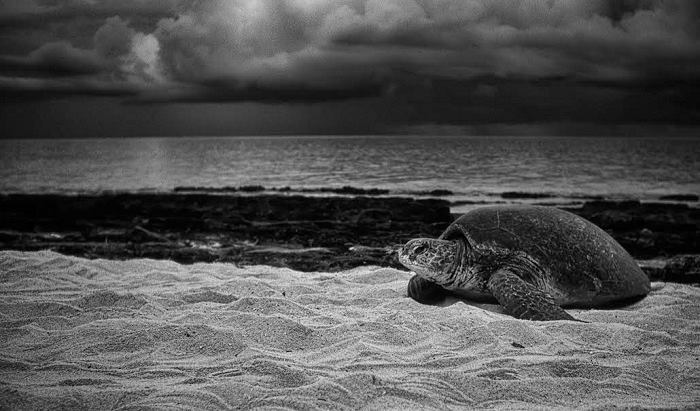 After receiving information about Caña’s fate, STC began trying to piece together what happened to the massive turtle, which had been observed healthy and nesting just two months prior. Caña’s transmitter began sending strong signals immediately after she was released. She even returned to nest one more time before beginning her migration east toward Colombia. Caña and her transmitter were providing invaluable scientific data and her migration route proved very interesting. For the first time one of STC’s satellite-tracked leatherbacks was heading to South America. STC researchers and thousands of people were tracking Caña’s journey online and could not wait to see where she would go next. In early July STC migration researcher Dan Evans noticed that Caña’s transmitter had been inactive for several days, which could have two possible explanations – that the transmitter had been damaged and could no longer send signals, or that Caña had not surfaced for some reason. The transmitter Caña was outfitted with is saltwater activated and sends a signal to orbiting satellites whenever the device breaks through the water’s surface, such as when she surfaces to breath or emerges onto shore. Evans was hesitant to jump to conclusions about Caña’s fate and hoped the transmitter was simply malfunctioning and would begin sending signals again soon. Days later, Caña’s transmitter began sending a very strong signal from the shores of Colombia. 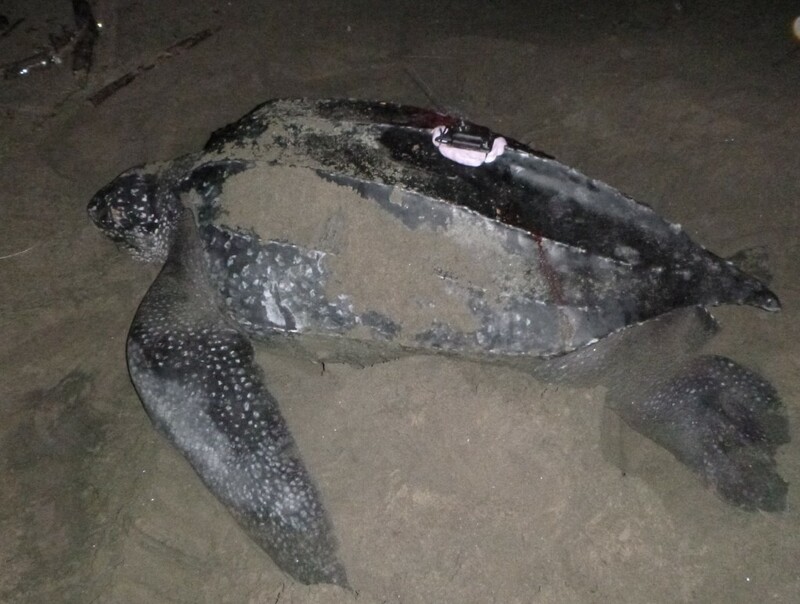 On July 8, STC received an email from the Environmental Corporation of the Atlantic in Barranquilla, Colombia, stating that a tourist had found a dead leatherback washed ashore with STC’s tags and contact information. It was Caña. STC is still awaiting the results of Caña’s necropsy, but the satellite data is very telling. Her transmitter was inactive for three consecutive days, meaning she could have been trapped underwater and drowned. Colombian waters are filled with fishing nets that indiscriminately trap anything they entangle. It is likely that Caña met her fate in one of these nets. 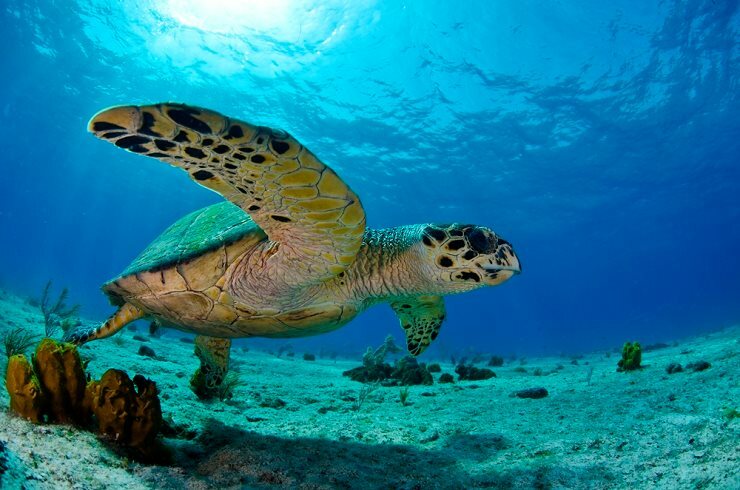 Sea turtles are air-breathing reptiles and can only hold their breath for extended periods of time, such as when they are inactive or sleeping. If Caña was in fact trapped in a net, her struggling would have caused her to drown fairly quickly, This is only one possible explanation, but it is the most likely explanation. Although stories like this are very sad to share, they demonstrate how important it is for STC to keep tracking sea turtles and to raise awareness about the very real threats all sea turtles face. For the first time ever, STC is partnering with the Cuba Marine Research and Conservation Program, The Ocean Foundation and Holbrook Travel to offer a Sea Turtle and Cultural Expedition to Cuba from September 4th-12th, 2015. Deadline to sign up in July 1st! Participants will visit Havana, the Guanahacabibes Peninsula and Vinales over the course of the expedition. CLICK HERE TO VIEW THE OFFICIAL ITINERARY. Snorkel the clear waters of the coral reef at Maria la Gorda (optional scuba diving may also be available at an additional charge). The Center for Marine Research has hosted similar trips in the last couple of years, but this is the first time this experience will be made available to U.S. Citizens without special permits following the change in Cuban-American policy announced by President Obama and the State Department earlier this year. Both STC and Center for Marine Research experts will host the expedition. Cost does not include international airfare estimated at $600 from Miami or Tampa (estimate includes visa fee). To see a full itinerary of the expedition and secure your spot, visit Holbrook travel’s official expedition page or click here to register. On World Spay Day 2015, medical volunteers from VIDA Volunteer Travel spayed and neutered over 20 dogs in the Tortuguero community for free, with support from STC. The overpopulation of stray dogs and pets in Tortuguero, Costa Rica can be dangerous for the local sea turtle population. In Central America, it is common for many communities to permit their domesticated dogs and cats to run free in coastal villages. These dogs, left unattended, can dig up several sea turtle nests in one night. With as few as one in 10,000 eggs reaching adulthood, the destruction of only a few nests can have a devastating effect on any sea turtle population. Dogs eat the eggs and hatchlings and, in some cases, can even attack adult females while they nest. Predation is not only a problem for sea turtles and their hatchlings in Central America, but also around the world. Crabs, raccoons, boars, birds, coyotes and sharks all play their role in the natural food chain as sea turtle predators. However, the threats of predation increase when human development reaches nesting beaches. People who leave trash near the shore, for example, unwittingly call raccoons and other non-native species to the beaches to look for food. Nest predation can be a very serious threat. In certain “predation hot spots” on nesting beaches in the United States predation can exceed 50% of all nests laid. While sea turtles have developed special adaptations that allow them to be agile in water, they remain clumsy on land. They are not fast enough, or agile enough to escape these predators. Unable to retract their heads and flippers into their shell, like land tortoises, sea turtles are very vulnerable to these invasive predators. Humans can play a vital role in decreasing the threat of invasive species predation. Here are a few ways you can help protect the sea turtles. Contact your local law enforcement if you witness any predation on sea turtle nests or hatchlings. Take a closer look at the hard work and dedication of the medical volunteers participating in World Spay Day 2015! The children of Room 14, Oratia District Primary School, in West Auckland, New Zealand, with the help of their teacher Cheryl Hartnell, recently learned about sea turtles and the threats they face. They crafted turtle shells as a class and each child took a scute to write a message and create a collage about dangers to turtles. This was based on a Sea Turtle Conservancy idea! We LOVE when you share your sea turtle projects with us! For a chance to be featured on STC’s blog, please submit photos and stories to Lexie at lexie@conserveturtles.org. For more ideas, check out STC’s Kids Corner page online for sample activities, quizzes, artwork and more! Keep up the great work, turtle fans! Support STC this #GivingTuesday on December 2nd! Knocking out holiday shopping early is at the top of everyone’s wish lists, but what about giving back? First there was Black Friday, and then came Cyber Monday, but the growing trend this holiday season is #GivingTuesday. #GivingTuesday is a campaign to create an international day of giving at the start of the annual holiday season. It celebrates and encourages charitable activities that support non-profit organizations. Taking place on December 2, 2014 (the Tuesday after Thanksgiving in the US), #GivingTuesday harnesses the power of social media to inspire holiday shoppers to give to organizations in need before giving to each other. Click here to find out more about #GivingTuesday. The campaign has launched a movement that has engaged well over 10,000 individuals, cities, and organizations worldwide, and STC is proud to be included. Last year was the first year that STC participated in #GivingTuesday and we raised almost $5,000 for sea turtle conservation efforts! This year, STC invites you to donate to help make improvements to our station in Tortuguero, Costa Rica, the most important nesting location for green turtles in the Western Hemisphere. Our team has been conducting research and conservation programs there for more than 55 years. This building is the only original building remaining onsite and has been facing the humid, salty climate of Tortuguero for 20 years. Immediate repairs to the station are needed to keep our researchers and volunteers safe and dry while they monitor and protect this critical nesting beach. Click here to watch a video about STC’s #GivingTuesday goal this year. For every dollar raised on December 2nd, 2014, STC’s Board of Directors has generously offered to match up to $15,000. Help turn $15,000 into $30,000 for the research, education, advocacy and protection of sea turtles! Donations can be made on STC’s website on December 2nd to count towards the goal and the matching gift. Click here to make a donation! Want more ways to double or even triple your impact? See if your company will match your donation by using https://doublethedonation.com/giving-tuesday! Just click this link and search for your company. You’ll find information on whether a match is provided and what the next step is. 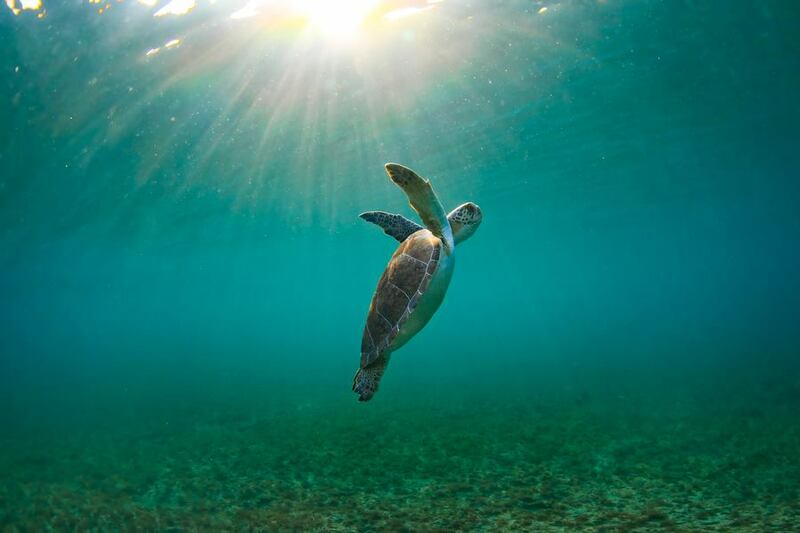 Company matching gifts are an easy, free way to make your donation to Sea Turtle Conservancy go even further. Along with STC’s #GivingTuesday goal, we’re encouraging our supporters to make their voices heard on social media. Let STC know what you’re doing on #GivingTuesday by sharing your story on Facebook, Twitter and Instagram. Make sure to use the hashtags #GivingTuesday and #unselfie, and don’t forget to tag us. Click to follow us on Facebook, Twitter and Instagram. Giving back has the power to bring us all together regardless of locations, beliefs or cultures. Join forces with the rest of the world this holiday season and let’s make a difference! 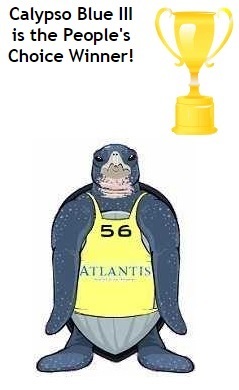 Tour de Turtles 2014: And the Winner is…. 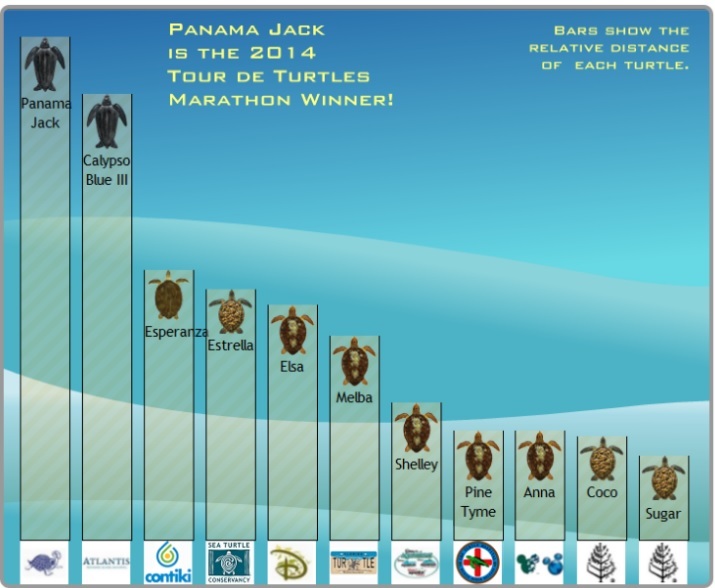 CONGRATULATIONS TO THE 2014 TOUR de TURTLES MARATHON WINNER, LEATHERBACK PANAMA JACK AND HER SPONSORS AT TURTLE & HUGHES, INC! The 2014 TdT included live turtle releases in Panama, Costa Rica, Nevis and Florida. This year was the first time that a rehabilitated loggerhead turtle competed in the TdT. ‘Pine Tyme‘, an 80 pound sub-adult loggerhead, was spotted struggling on the surface unable to dive and was brought to The Turtle Hospital in Marathon, FL for treatment. She was released from Sombrero Beach, The Florida Keys and marked STC’s first ever release in the Florida Keys. Before releasing each turtle, STC scientists attached a satellite transmitter to their shell using turtle-safe epoxy or fiberglass resin. The transmitters allowed STC and the public to track the turtles as they migrated from their nesting beaches to their foraging grounds. After three months of friendly competition, we have our winners, along with “updates from the field” from the turtle competitors! WINNER – Panama Jack, 3936 km, Team Turtle & Hughes, Inc. Sponsor: Turtle & Hughes, Inc.
Update from the Field: Hey everyone, Panama Jack here! Good golly, I just can’t believe I won the Tour de Turtles! I was just splishing and splashing all over the place trying to spread the word about the importance of sea turtle friendly lighting. After I left Punta Rincon Beach in Panama, I made my way over to Mexico, where I heard there were lots of yummy jellyfish for me to snack on! As you can see, I’m a pretty big girl so it’s important that I eat lots and lots of jellyfish to maintain all this energy! Now that the marathon is over, I think I’ll just hang out in the Gulf of Mexico enjoying a nice, belly-filling buffet! Thanks for cheering me on! Update from the field: Calypso Blue III checking in! Phew, I’ve already swam over a thousand miles but I’m not stopping anytime soon! I spent most of the marathon cruising through the Gulf of Mexico, off the coast of Louisiana. I even managed to stop by Bourbon Street in New Orleans to have some fun! Throughout my travels, I’ve been telling all my marine friends about how excited I am to have my migration tracked and swim for the cause of commercial trawl fisheries. Louisiana is the largest producer of shrimp in the U.S. which means there are tons of shrimp nets in this very area. Unfortunately, Louisiana hasn’t fully enforced the use of Turtle Excluder Devices (TEDs) on their nets. I had to get stern with a couple of fishermen but quickly befriended some that agreed to compromise with me! I think I’m going to head out of the area now just to be safe… Thanks to my friends at Atlantis for always having my shell! Update from the Field: Hola, mis amigos! Esperanza’s back to check in with my loyal fans and give a shout out to my sponsors at Contiki and TreadRight Foundation. Without their help and the support of my fans, there’s no way I would’ve found the speed to swim all the way up the ranks from 7th place to 3rd place! Afterall, don’t forget that esperanza is Spanish for hope and – against all odds -I made it onto the winners’ podium! Even though I had quite the rough start to the race with a poacher digging up my nest and stealing my eggs, my friends at STC were able to save the day and rebury my precious eggs, which just hatched in September! Thanks to everyone who cheered me on and helped raise support for the many threats my species face, especially poaching. I couldn’t have done it without you! Adios! Update from the Field: Greetings, humans. Estrella here. According to my calculations, I did not swim far enough to qualify for the Tour de Turtles winner podium. Nonetheless, it’s been quite the journey! Throughout my travels, I’ve been collecting research and data off the coast of Nicaragua and what I’ve found was quite peculiar… The number of turtles that I encountered in the area was very limited. These findings may be due to the fact that it is actually legal in parts of Nicaragua to capture and consume turtles as they’re apart of the natives’ diet. Raising awareness about such issues and enforcing policies will hopefully help get my fellow turtles (and me!) off the endangered species list. Well, I’m going to kick it into high gear now and try to swim past Nicaragua… I certainly wouldn’t want to end up as someone’s dinner! Update from the Field: Hello there peasants! Yes, I am Elsa, named after the queen from Disney’s Frozen. I’m here to report back to my original kingdom at Disney’s Vero Beach to discuss some of the royal duties I’ve partaken in since I left my sand castle in July. My duties took me from Vero Beach to Key Largo to Cuba, and I recycled and picked up trash and other marine debris along the way. It’s only right that the Queen pays her respects to the ocean. Naturally, I ran into some issues when trying to eat dinner the other night and mistook a plastic grocery bag for a delicious jellyfish. This is a situation that could be avoided by recycling plastics and using reusable bags. Wish me luck, I’m off to conquer my next kingdom… The Bahamas! Update from the Field: Aloha dudes and dudettes! Melba here. Because of the gnarly waves I tried to catch while swimming, I accidentally moved all the way down from 3rd place to 6th place… But the journey was absolutely tubular! I met some fellow surfer chicks along the way and took the opportunity to teach them about a totally important cause—water quality, dude! They promised me they would work together to try and prevent oil spills and urban run-off caused by fertilizers and other chemicals so that we can safely enjoy the stellar surf for years to come! But I’m off to celebrate my Tour de Turtles success with some chill loggerhead ladies… I might even buy myself one of those rad sea turtle license plates for my carapace! Catch ya on the flip side dudes! Update from the Field: Hello darlings! You all know me as Shelley, the turtle with levels of glamour that Vogue couldn’t even handle. I won’t lie, being without my glam squad and entourage these past few months was rough but I knew my migration was raising awareness about the issue of commercial longline fisheries, and that is important. I think of the ocean as my runway and plan to continue swimming through it with grace and poise. How can I do that if I have to worry about being caught up in longline fishing? Luckily, I didn’t come across any during my travels, probably because my fabulous sponsors at Ripley’s Aquariums have been cheering me on. Even though I didn’t win the race, I’m hoping there is still a chance at a tiara. Ciao, bellas! Update from the Field: For a previously injured turtle, I’ve come a long way! Mostly thanks to my great friends at The Turtle Hospital. After gaining my strength back, I traveled over 400 miles from Marathon, Florida to my current location right outside the Dry Tortugas National Park. This national park is about 70 miles off the coast of Key West and was established to protect the island and marine ecosystems. I had to duck out of the way of several speeding boats along the way so now I’m just trying to steer clear of the ferries touring the place. As a rehabilitated turtle who was also the last to enter the race, I knew I couldn’t afford another setback like a boat strike so now I’m just trying to find a nice, calm place to feed. I honestly can’t even believe I made it this far when just several months ago I was gassy and floating bottom up at The Turtle Hospital! Thanks to everyone who helped cheer me on during the marathon! Update from the Field: Hi friends, Anna here! I successfully made my way all the way down the Florida coastline and decided to spend some time in Florida Keys. Everything during the marathon went quite swimmingly, except for this one huge storm that got me a little off track last month. I ended up along the shores of Miami, which was a very interesting place indeed. One thing I noticed is that their beachfront hotels and clubs had so many bright lights on, you could probably see them from space! I knew better and wasn’t distracted by their glow but let’s just hope my friends don’t end up drawn towards the lights when they come up to nest! After my little visit to South Beach, I got worn out from signing autographs for all my Frozen fans and set off towards Key West to relax where I plan to stay. Check back with me soon! Update from the Field: Oh, hello there. I didn’t realize this interview was going to be published. I don’t really do well with large groups. Sorry, erm… How about a little joke to break the ice? So, um, I’m on my way to St. Kitts from Nevis and I come across what I thought were some fellow hawksbills. I’m shy enough as it is so I really had to work up the nerve to approach these guys. I try to make conversation, which is rare for me, and I’m getting no reply. I start to get more nervous as their silence lengthens. Was it something I said? Do I have a piece of sponge in my teeth? Finally, I realize I’d been talking to floating coconuts the whole time… That embarrassing encounter certainly did nothing to help me get over my social anxieties. I was also hoping for a confidence boost by winning the Tour de Turtles race, but then I just got so nervous and I decided to stay close to home where I’m most comfortable. There’s nothing wrong with last place, especially since I know the great people at Four Seasons Nevis will always cheer for me, no matter what! Update from the Field: Hi friends! My name is Sugar and I’m the sweetest hawksbill you’ll ever meet! During the Tour de Turtles, I got some slack from a few mean turtles about my slow pace but I couldn’t help that I enjoyed the beautiful waters of the Caribbean so much! Who said there’s anything wrong about being on island time? The water near St. Kitts is especially warm, I just hope it’s not due to climate change! I promise to do some investigating while I’m here and raise awareness about this potential threat. Now excuse me while I go enjoy a deliciously sweet drink with my friends at the Four Seasons Resort Nevis to celebrate the end of Tour de Turtles! Sea Turtle Conservancy would like to give a big THANK YOU to all of our great turtle sponsors for this year’s Tour de Turtles — Four Seasons Resort, Nevis — Disney’s Animal Programs — Disney’s Worldwide Conservation Fund — Disney’s Vero Beach Resort — Turtle & Hughes, Inc. — Atlantis Resort — Ripley’s Aquariums — Contiki Holidays — The TreadRight Foundation — The Turtle Hospital — and Florida’s Sea Turtle License Plate. Sea Turtle Calendar Contest Winners! Sea Turtle Conservancy (STC) would like to give a special congratulations to the winners of our 2015 Sea Turtle Scenes Calendar Contest! This year we received a record-breaking amount of entries and all the photos were truly phenomenal. Thank you to everyone who took the time to enter! The winning photographs will be featured in STC’s 2015 Sea Turtle Scenes Calendar, which will be available online in our gift shop in November—just in time for the holidays! Thank you to all of our participants who made this year’s selection exciting and especially difficult. If you missed out on this one, look out for the 2016 photography contest next summer! Get Involved for International Coastal Cleanup Day Sept. 20th! Help us turn the tide on trash! This Saturday, September 20, join us for the world’s largest volunteer effort on behalf of our ocean by participating in the Ocean Conservancy’s International Coastal Cleanup Day! This is an international event, and there are many ways you can get involved locally. If you live near a coastal community, click here to see what’s going on in your town– http://www.oceanconservancy.org/our-work/international-coastal-cleanup/clean-up-locations.html. Last year, nearly 650,000 people participated in the 2013 Cleanup, with events held in 44 states and in more than 90 countries and locations around the globe. If you plan on participating in any capacity, make sure you sign-up here and take the pledge so Ocean Conservancy can keep track of the data. If you’re a diver, you can also sign-up for any of the Dive Against Debris events happening across the state of Florida. Click here for more info or check out host Tampa Bay Green Consortium’s website. Marine debris is especially a problem in Florida and affects human health and safety, endangers our marine wildlife and costs Florida millions in wasted resources and lost revenue each year. One of the biggest impacts to marine debris in Florida is the impact to our sea turtles, one of our oldest creatures on Earth. These beautiful marine creatures are very vulnerable to plastics and other marine debris. They commonly swallow plastic bags, mistaking them for jellyfish. They are often found off the Florida coasts entangled in discarded nets and fishing lines, and are frequently found with ingested fish hooks. Florida is a large nesting ground for sea turtles and hatchlings are also affected by marine debris. When hatchlings move towards the water, physical objects like trash and marine debris, endangering their lives, often obstruct them. A juvenile turtle has netting removed from its throat. We need your help to solve this problem. For nearly three decades, volunteers with Ocean Conservancy’s International Coastal Cleanup® have picked up everything imaginable along the world’s shorelines: cigarette butts, food wrappers, abandoned fishing gear and even automobiles and kitchen appliances. Horton Park located at 2600 SE 26th Place, Cape Coral, FL33904. Deerfield Beach. Take Hillsboro Boulevard to A1A and turn right (south). Turn left on S.E. 1st Street and park across the street from the Fire Station. Sign in and pick up a parking pass (limited number available) at the chickee hut. Deerfield Island Park. Take Hillsboro Boulevard to Riverview Rd. and turn left (north). Volunteers can particpate either on shore or by kayak/canoe, but must bring their own watercraft. A free shuttle to the Park is available for those wanting to cleanup the shoreline and will run from 9 am until 4 pm. Lauderdale-by-the-Sea. Sign in at El Prada Park, approximately two blocks north of the pier. Fort Lauderdale South Beach Park. Sign is located under the Australian Pine trees. Parking passes are pending. Bunche Beach located at 18201 John Morris Road, Fort Myers, FL33931. Fort Myers Beach Elementary School located at 2751 Oak Street, Fort Myers Beach, FL 33931. Lovers Key event field located at 8700 Estero Blvd, Fort Myers Beach, FL 33931. Hollywood Beach North. The Cleanup location is at NorthBeachPark at the end of Sheridan Street. When you arrive at the gate, tell park personnel you are participating in the Coastal Cleanup. Sign in station is halfway down the park on the right (east) side. Hollywood Beach Central. Park in the garage at the south end of the Oceanwalk Mall, located at A1A and Hollywood Boulevard. Sign-in is at the Oceanwalk Mall outdoor pavilion. No parking passes are available this year. Hollywood Beach South. Sign in at KeatingPark, Magnolia Terrace and Surf Road. Parking passes will be available from the Site Captain once you sign in. Blue Cypress Park located at 4012 University Boulevard North. Castaway Island Preserve located at 2885 San Pablo Road South. County Dock Boat Ramp located at 11964 Mandarin Road, Next to Walter Jones Memorial Park. Ft. Caroline National Memorial located at 12713 Fort Caroline Road. Helen Cooper Floyd Park (Little Jetties) located at 3600 S.R. A1A. Hogan Creek located at 314 Palmetto Street, Parking behind Jacksonville Historical Society. Site not suitable for children. Huguenot Memorial Park located at 10980 Heckscher Drive. Intracoastal Waterway Boat Ramp located at 2510 2nd Avenue North, Site not suitable for children. Joe Carlucci Boat Ramp/Heritage River Road located at 8414 Heritage River Road, Boat Ramp 1 mile off of Heckscher Drive. Kathryn Abbey Hanna Park located at 500 Wonderwood Drive, Atlantic Beach, Meet at Dolphin Plaza. Northbank Riverwalk located at 221 Riverside Avenue, Parking on Jackson Street & behind YMCA. Reddie Point Preserve located at 4499 Yachtsman Way. Tillie K. Fowler Regional Park located at 7000 Roosevelt Boulevard. Barrier Island Center located at 8385 South Highway A1A, Melbourne Beach, Florida 32951 will be offering free T-shirts for participants. Pompano Beach. Park north of Atlantic Boulevard between N. Riverside Drive and A1A. Sign in and pick up a parking pass (limited number) at Pavilion 2 north of the pier. Place the parking pass on the dashboard of your vehicle for the duration of the Cleanup. Sanibel Captiva Conservation Foundation located at 333 San-Cap Road, Sanibel, FL 33957. Sanbel Causeway (Island B) located at 19931 Sanibel Causeway Road, Sanibel, FL 33957. Al Palonis Park located at 5040 Culbreath Key Way 33611. McKay Bay Nature Park located at 134 34th St. 33605. Prepare to get muddy. Baker Creek Boat Ramp 12095 Thonotosassa Rd. 33592.